The Philadelphia division by A1 Worldwide Limousine comes in reasonable prices, today. Its chauffeur services are offered for almost any type of events. For wedding and special occasion limousine options, the A1 Worldwide Limousine bears a good list of fine Philadelphia wedding limos that can be added with champagne, any type of cold beverages and extra amenities couples would require for the celebration. It is a member of the National Limousine Association (NBA) in the country. If you wish to ride in today’s best town car and limo services, A1 Worldwide Limousine is the wedding transportation company for you. From stretch limos, SUVs, fully featured vans to limo coaches, J&J Luxury Transportation has got what it takes for the perfect wedding limousine rental in Philadelphia. J&J Luxury Transportation is also a green company. Get bold and beautiful on your wedding day, the superb luxurious passenger delivery services hosts several types of events: weddings and rehearsals, bachelor and bachelorette parties, family reunions, business travel, corporate events, casino trips, religious/school/university/athletic activities, black-tie affairs, hourly events, full-day parties and sessions, multi-day travel tours, package deliveries and etc. Making all wedding days extraordinaire, it is a never-ending love for style in couples at the J&J Luxury Transportation. 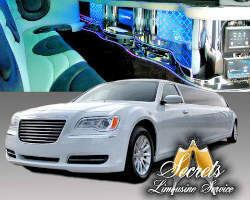 Secrets Limousine Service has won several awards for the past 6 years for outstanding customer service. It has been a voted winner at the “Brides Choice Award" of Wedding Wire for 4 consecutive years now (2010-2013,) as the best Wedding Limousine Service found in Philadelphia and other parts of the country, Wilmington and Lehigh valley region. 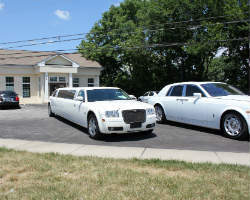 Several state-of-the-art limousines can be found in its car fleet. Wherein, couples can watch their favorite movies on an LCD TV, listen to cool music using a CD player w/5.1 Dolby Surround Sound, WLAN connection, pool proof sounds with sub-woofers and lighted speakers, LED lights and splurge on cool drinks using the hi gloss wood mini sidebar, only by Secrets Limousine Service, the best of the limo companies. With 1st Choice car service wedding stories are created altogether with the known expertise on wedding highlights that brightens up the event and not just answering your travel needs. The hummer and stretch limousines are a perfect pick on any regular wedding theme for couples, guests and love ones to cherish during this special day. 1st Choice has the best limo service in Philadelphia, today. Paving a big mark in the world of wedding service industry, after its first store opening, the company lets its cars deliver couples and guests all over the city. Pick the hottest deals today at 1st Choice! Arrive in the sassiest style during your wedding day with relaxing deals offered by the Philly Limo Rentals. 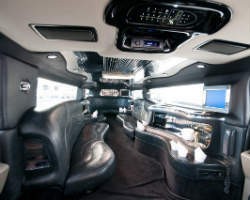 A popular bus renting company for Philadelphia limo service, it now offers delivery and transport of passengers for weddings, prom nights, corporate events, and, airport with seaport transfers on the lowest rates. If you are on a tight budget, you can pick any type of transportation service from the car fleet, which bears different brands of cars to deliver couples to their destinations. Plus, get to know of the W’s questions or the what, how, why, when and where for the latest wedding planning and tips at Philadelphia by Philly Limo Rentals. Sterling Limousine Service has been voted as “The Best Of Weddings 2014!" in wedding transportation by The Knot. It is able to add different settings to themed celebrations for wedding couples, with the most number of luxury fleet available for wedding days limo service in Philadelphia. Other hosted events are prom limo rental, corporate services, sporting events and etc. Walk along a red carpet, blush on a bouquet of flowers, indulged in the sweetest food plates and other elegant wedding additions. Choose Sterling Limousine Service for a bridal dream come true wedding in your area. The most luxurious transportation deal in Philadelphia can make any event elegant and modish because of Sterling Limousine Service. 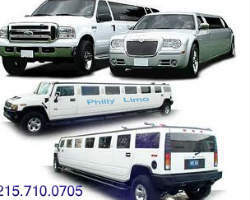 Wedding Limo Rentals Philadelphia is a division by Party Bus Rental Philadelphia. 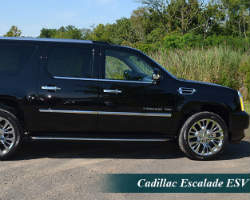 For the highest standards on limo rentals in Philadelphia Pa, at the site find the right place to book your orders on wedding transportation needs, bachelor and bachelorette parties, airport transfers and prom nights. You can choose to rent any luxury car you wish to ride on during that one special night/day you finally exchange “I Dos” with your partner. What is important is renting high-quality cars with the leading brand models, for affordable low-costs. From a wedding limo to an exotic Porsche, classic Rolls Royce, Sprinter, Bentley, Escalade rental as well as party bus and vans, couples are given the nicest choices in wedding transportation, today. A one-of-a kind special treatment is given to customers at 1st Class Transportation, rated as a five-star customer service company in car rental. Where, online booking is hassle-free and friendly live representatives may assist customers round-the-clock. 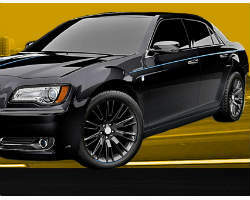 1st Class Transportation has a car fleet composing of the Chrysler 300 Sedan Series, large SUV, executive van, minibus with 21 seating capacity, a shuttle van for 13, luxury maxi bus able to accommodate up to 29 guests, a limo bus for 14 to 16, the luxury motor coach for a 57 seating with restroom and, of course, the black limousines. 1st Class Transportation answers your wedding travel needs.